Jerome joined the Blue Ridge Realty team in July 2012. He has been a broker since 1967 and in 1989 became a licensed general contractor building many homes and condominiums in Knoxville and Townsend, Tennessee. With fifty-three years in real estate and home construction, Jerome has gained much experience in those fields. During the Korean Conflict, he served two years in the U. S. Navy as a Corpsman. After his discharge, he joined Hilton Hotel Corporate as a trainee and then as a sales representative at the Hilton-Statler in Harford, Connecticut. Desiring to return to Knoxville, Jerome entered the real estate business and later owned Kingston Pike Realty and Southland Realtors/Better Homes and Gardens. He became active in the Knoxville Board of Realtors, twice being elected president of the local Board and later named Realtor of the Year. 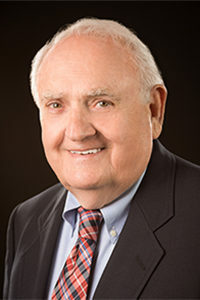 In 2005, he was honored by the National Association of Realtors and was awarded designation as Realtor Emeritus.